Cuteness! 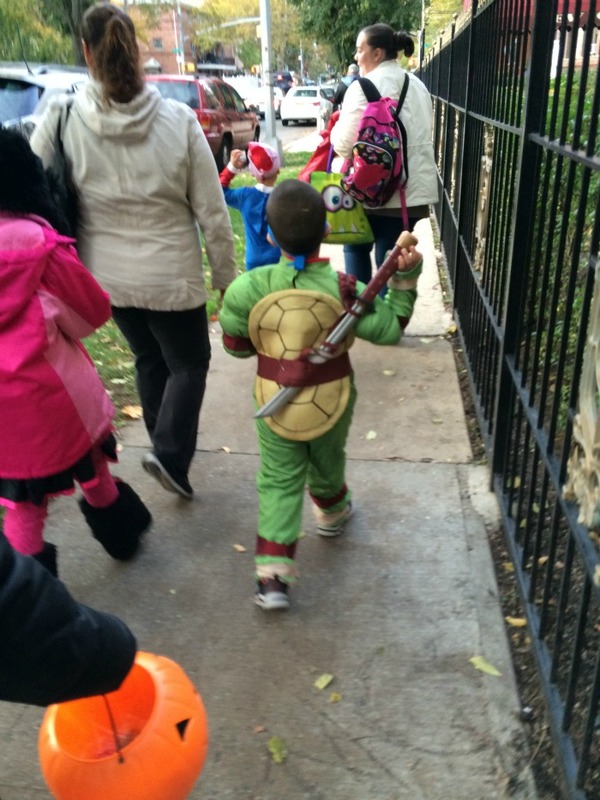 I think Ninja Turtles was big this year-- I saw tons of kids dressed as them. He makes such a precious Ninja Turtle! No little Ninjas or anyone else came to my apartment door this year--times have sure changed. Now--around here at least they close off a main street and have a party for all the kids where they get all kinds of candy and show off their costumes. I want it noted that I did buy a couple of bags of candy just in case! So cute! We had so much fun trick or treating this year. I wish I had taken more pictures of the kids. What a cute costume! We went trick-or-treating a little and then went to a Fall festival.